Holly, (Rockyview Gwyneth). Prefers life in the fast lane, she’s happiest jumping and cantering. 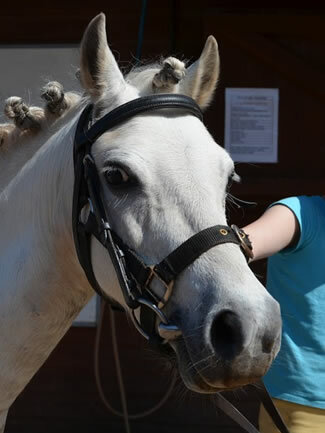 A forward going and talented pony, great for the more experienced kids.